GREENSBORO, N.C. -- University of Texas bound sprinter Briana Nelson won the 400-meter dash championship at New Balance Nationals Saturday with a last meter surge to pass New York's Chamique Francis. Nelson ran 53.14 to Francis' 53.20. GREENSBORO, N.C. – Her teammates gathered around with a large piece of paper and a sly grin. She sat surrounded by reporters, dazed and still a bit confused at what just happened until she turned to recognize them. Joe Rosa (N.J.) talks about the two-mile at New Balance Nationals. GREENSBORO, N.C. -- Katherine Walker remembered crying last year when she failed to even make the Virginia state meet. She remembered when she talked to her mom, who told her that she could either commit, really commit, or hang her spikes up. Octavius Freeman (Fla.) talks about New Balance Nationals after the 200-meter dash finals. This is the boys performance list for New Balance Nationals. Highlighted are the athletes from West Virginia who will be competing. 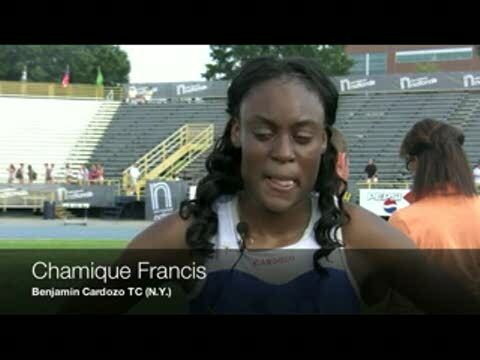 Chamique Francis (N.Y.) talks about the 100-meter dash at New Balance Nationals. Samuel Prakel (Ohio) talks about the freshman mile at New Balance Nationals. Florida's Matt Mizereck talks about winning the 5,000-meter run at New Balance Nationals. 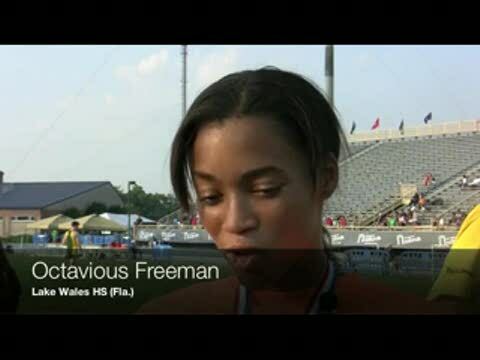 Alexus Brannon (Texas) talks about triple jump at New Balance Nationals. 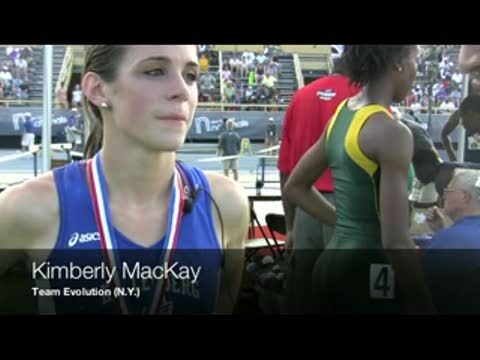 Kimberly MacKay (N.Y.) talks about the 800-meter run at New Balance Nationals. Megan Goethals (Mich.) talks about winning the New Balance Nationals two-mile. She didn’t look crisp or race sharp or fresh. It could have easily been her first race of the season. And when she left, Claudia Francis could still call herself the best half-miler in the country. Octavius Freeman (Fla.) after winning the 100-meter dash at New Balance Nationals. Jocelyn Keen (N.C.) talks about the 800-meter run at New Balance Nationals. Thursday night in Greensboro, North Carolina Matt Mizereck capped off his stellar high school career with a national championship. Miz closed with a great final lap to seal the victory over the star-studded crowd. His time of 14:37.17 was a new personal best and five seconds off the meet record. We are on site with continuing coverage of the New Balance Nationals all weekend. Video interview with Matt, photos, and results are posted inside this article. Kaleb Zuidema (N.J.) talks about javelin at New Balance Nationals. Briana Nelson (S.C.) talks about winning her final national outdoor title. Molly Malone (N.Y.) talks about the 4x800-meter relay at New Balance Nationals. Carmen Carlos (Ala.) talks about the freshman mile at New Balance Nationals. Lukas Verzbicas talks about the two-mile race at New Balance Nationals. Alec Faldermeyer (N.Y.) talks about the hammer throw at New Balance Nationals. Mary Kate Anselmini talks about New Balance Nationals steeplechase. 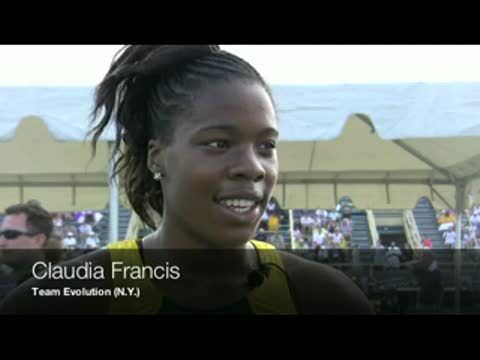 Claudia Francis (N.Y.) talks about winning the 800-meter dash at New Balance Nationals. Photos by Lance McDaniel 2010 West Virginia AAA 3200m outdoor State champion Dayton McVicker from Fairmont Senior placed 13th tonight at the New Balance Outdoor National Championship with a time of 15:26.90. McVicker ran in the fast heat and came through the 1600m with the lead pack in 4:43. After a strong 3200m time of 9:42, he fell off the pace during the early part of the 3rd mile. However, like a champion he gathered himself and finished strong. After the race, McVicker said he never felt comfortable and was having difficulty breathing in the hot and muggy weather. The junior said he planned to come back next year and give it another try.  New Balance Outdoor National Flotrack Video of McVicker's 5K Open article for 5000m results and more. Hopefully, we will have some photos up soon. Jennifer Halloran (N.Y.) talks about winning the race walk. Allison Updike (Pa.) talks about finishing second in javelin throw at New Balance Nationals.  GREENSBORO, N.C. -- scrunners.com will be onsite as part of MileSplit.us team coverage. Aisling Cuffe (N.Y.) talks about finishing second in the two-mile at New Balance Nationals. Chris FitzSimons (Conn.) talks about running a 1:47 final leg of the 4x800-meter relay at New Balance Nationals. Track Eastern (N.C.) girls 4x800-meter relay talk about New Balance Nationals. Mohammed Abushouk talks about the 5,000-meter run at New Balance Nationals.  Dejon Wilkinson (S.C.) talks about competing in triple jump at New Balance Nationals. Marquis Dendy (Del.) talks about winning triple jump and new record at New Balance Nationals. The third and final day of New Balance Nationals was another good one for Florida. Octavious Freeman once again did her thing, accelerating away from the field during the final 50 meters to win her second gold of the weekend with a 23.24 200 Meter Dash (US #2). Matt Bevil of Ft. Walton Beach bettered his PB, battling hard to a second place finish in 1:50.11--US #5 and All-Time #7 in Florida. Hugh Graham finished second in the 400 meters with a US#7 46.82. Joe Rosa talks about winning two-mile at New Balance Nationals. Marlene Ricketts (N.Y.) recaps the triple jump at New Balance Nationals.  Wakefield TC (N.C.) talks about the 4x100-meter relay at New Balance Nationals. Carlton Lavong (Pa.) and Marquis Dendy (Del.) talk about competing at New Balance Nationals following the long jump competition. Warwick Valley's 4x800-meter relay team talks about finishing second at New Balance Nationals. 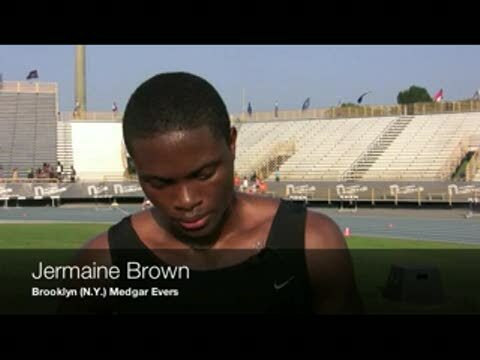 Jermaine Brown (N.Y.) talks about the 200-meter dash at New Balance Nationals. Alex Deir (N.Y.) talks about the steeplechase at New Balance Nationals.  Warwick Valley 4x800-meter relay team talks about New Balance Nationals. Emily Lipari (N.Y.) talks about winning the New Balance Nationals mile. 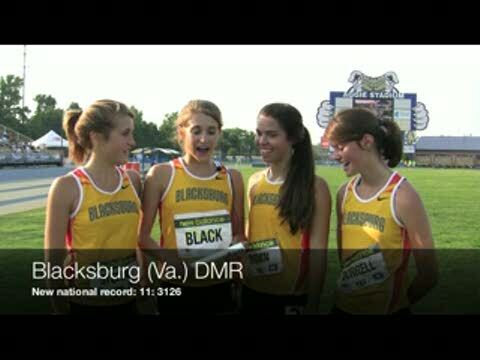 Blacksburg (Va.) girls talks about breaking the DMR national record at New Balance Nationals. Chris Carper (Pa.) talks about javelin at New Balance Nationals. Reginald Mortel (N.Y.) talks about Emerging Elite 400-meter dash at New Balance Nationals. Katherine Walker (Va.) talks about winning the 5,000-meter run at New Balance Nationals. Olivia Enright (N.C.) talks about steeplechase at New Balance Nationals. Chamique Francis (N.Y.) talks about finishing second the 400-meter dash at New Balance Nationals. 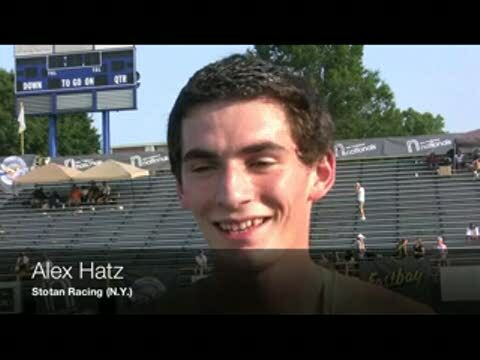 Alex Hatz (N.Y.) talks about the boys mile at New Balance Nationals.